This is just one of numerous defiant civil society responses coming just after the new Bolsonaro administration’s announcement of a transfer of the responsibility for identifying and demarcating indigenous lands from FUNAI, Brazil’s indigenous agency, to the Agriculture Ministry. Analysts immediately pointed out the clear administrative conflict of interest between the duties of the Agriculture Ministry – largely controlled by agribusiness – and FUNAI, which has long been a defender of indigenous territorial rights against land hungry ruralistas. 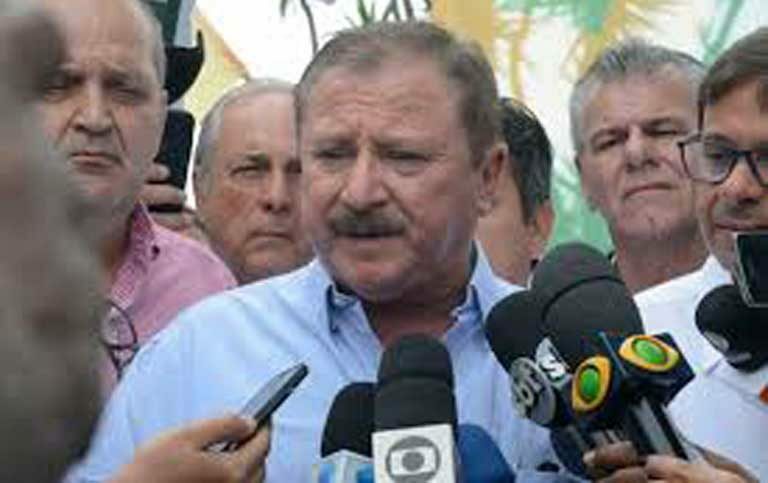 But the Bolsonaro administration seems unfazed by the obvious conflict, as evidenced when Luiz Nabhan Garcia, the Agriculture Ministry’s new Special Secretary for Land Affairs, told the media that he would be initiating a thorough review of all efforts in the last ten years to demarcate indigenous land; to provide titles for quilombolas(communities inhabited by the descendants of runaway slaves); as well as attempts to secure lands for agrarian reform settlements. According to Nabhan Garcia, some of these past actions will be undone, if “serious mistakes”, “unacceptable errors,” or “fraud” were found to have occurred. Illegal Amazon logging in the Arara Indigenous Reserve in southeast Pará state. Image courtesy of IBAMA. According to Marcio Santilli, a former president of FUNAI and one of the founders of the Social-Environmental Institute (ISA), a Brazilian NGO, taking back land already granted to indigenous groups will infringe on the law and violate indigenous land rights. Ultimately, the new government’s decision could impact numerous indigenous reserves. In an interview with CBN Radio, Santilli noted that there are currently 130 demarcations underway, involving a third of the nation’s indigenous land, and that halting or reversing the demarcation process would surely lead to an increase in conflict and rise in deforestation. An IBAMA environmental agency agent participates in a raid on an illegal logging and mining operation in a Munduruku indigenous reserve. President Bolsonaro, was once fined by the agency, has shown hostility toward IBAMA, and seems likely to reduce its role in law enforcement against illegal deforestation. Image courtesy of IBAMA. Even before the election, land thieves and loggers – many in the remote Amazon – seem to have felt emboldened to commit illegal acts apparently catalyzed by candidate Bolsonaro’s ruralist stance and his inflammatory statements against indigenous people, environmentalists and land reform activists. 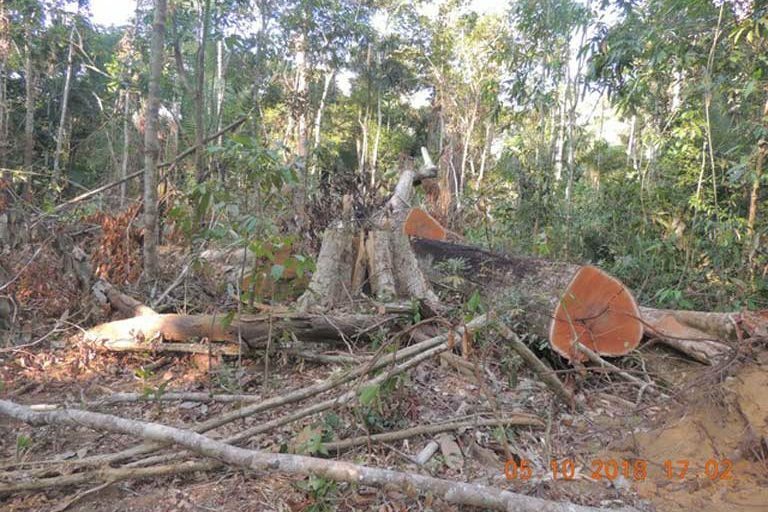 Figures just published by IMAZON, a not-for-profit institute, show that 1,463 square kilometers (564 square miles) of forest were cut in Pará state alone from August to November 2108. This is four times the area cleared over the same period in 2017. 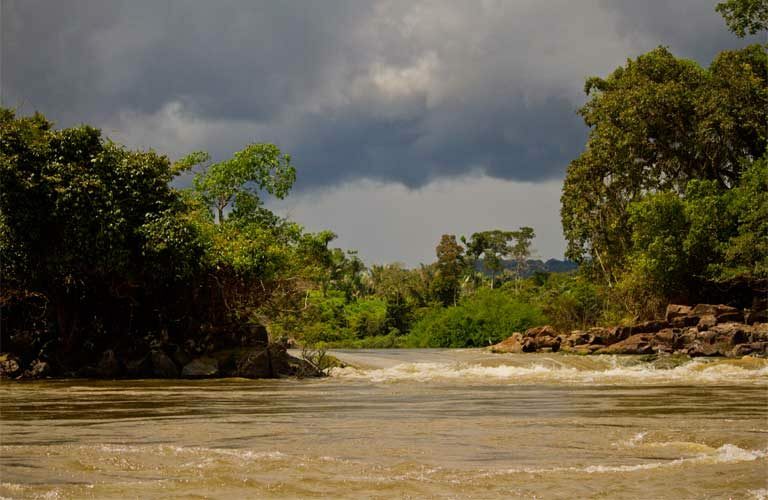 An emblematic case of Amazon lawlessness involves the Arara Indigenous Reserve in southeast Pará state, a 271,000-hectare (670,000-acre) territory shared by the Arara and Xipaia indigenous groups and located near the town of Uruará on the Transamazon Highway. Although indigenous land rights were recognized here in 1978, the cumbersome legalistic process of finalizing the demarcated indigenous territory was only completed in 2008. 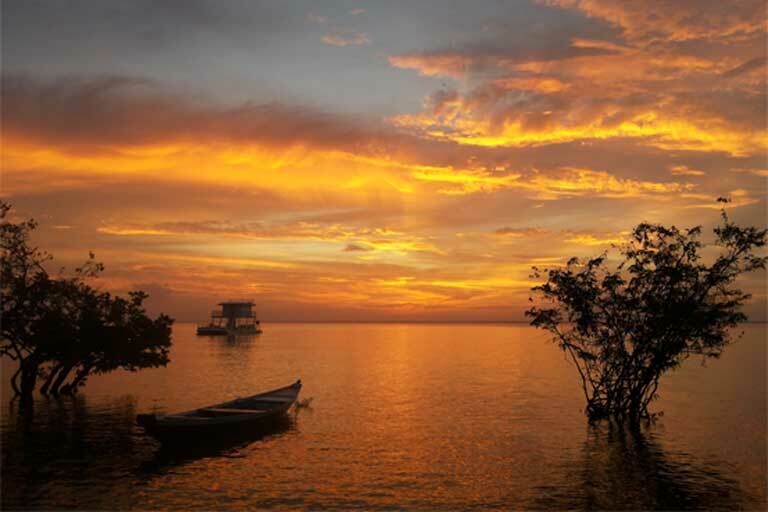 The Arara Indigenous Reserve is a 271,000-hectare (670,000-acre) territory shared by the Arara and Xipaia indigenous groups. It was invaded by illegal loggers on December 30, 2018. Image courtesy of IBAMA. The reserve lies within the area of influence of the Belo Monte hydroelectric mega-dam on the Xingu River, which brought an influx of outsiders to the region. 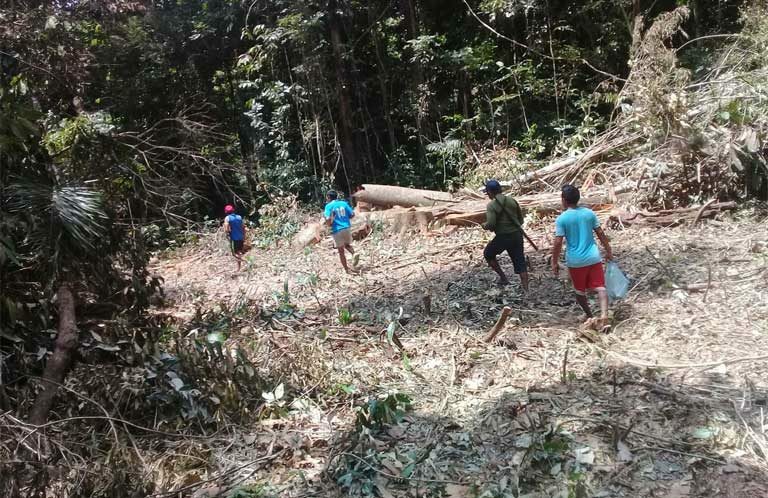 For that reason, one of the government conditions for the project’s construction by the Norte Energia consortium was the establishment of forest guard patrols on Arara Indigenous Territory borders to keep out invaders. However, no action was ever taken to provide those patrols, and the Public Federal Ministry (MPF), an independent group of federal litigators, has gone to court demanding that the Belo Monte consortium fulfil its legal obligations. Experts said it would only be a matter of time before loggers and land thieves tried their luck and invaded the unguarded preserve. Cacique (chief) Léo Xipaia of the Xipaia indigenous group believes it was Bolsonaro’s victory that finally gave the invaders the confidence they needed. On 30 December, two days before Bolsonaro took office, squatters occupied a 20-kilometer (12-mile) stretch of road on the reserve’s northern border and began cutting and trucking out timber, while also dividing the land into individual plots. This was no small-scale operation. According to local reports, the criminals arrived in five trucks and brought in considerable heavy-duty logging equipment, likely meaning that the invasion is well-funded and backed by a local wealthy ruralist. 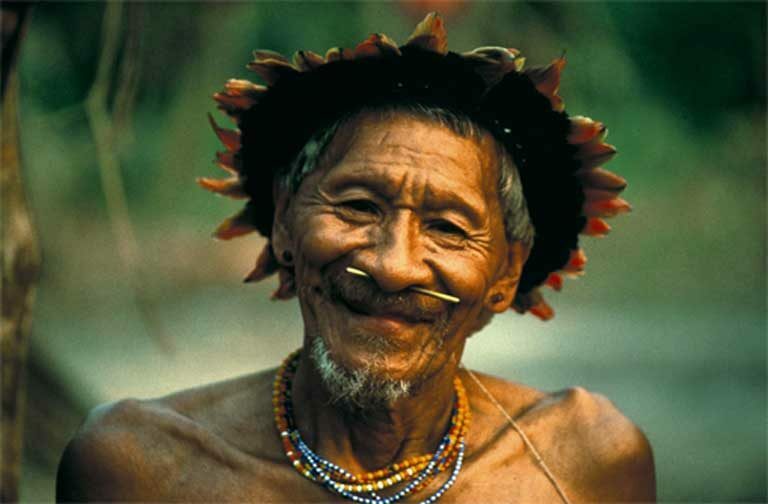 The Arara were a peaceful nomadic people who once wandered so freely they did not have a word in their language for “village.” Now their indigenous reserve is threatened by illegal loggers. Photo © John Miles / Survival International. 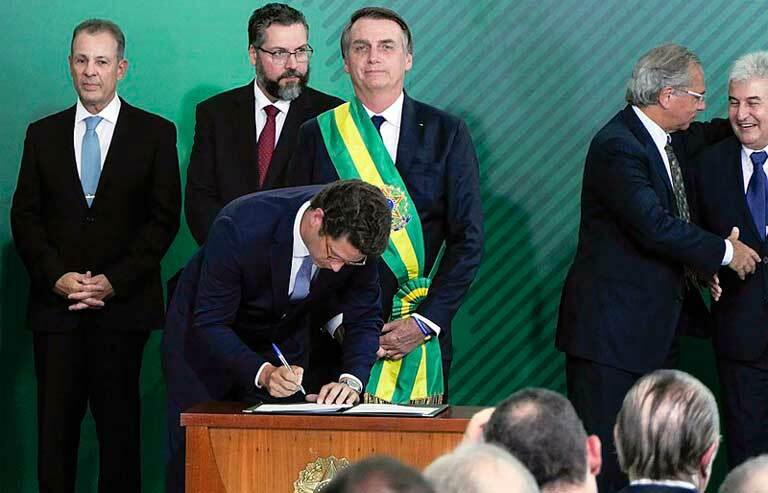 During his electoral campaign, Bolsonaro repeatedly said that he would make sure that the law and the constitution were respected under his government, and for many environmentalists these incidents will be test cases. So far, no action has been taken by the authorities. Joenia Wapichana, a lawyer and the first indigenous woman to be elected a federal deputy. Image by Yolanda Simone courtesy of Amazonia Real. During its first days, the Bolsonaro government prepared another controversial proposal which, should it go forward, would allow agribusiness to rent land inside indigenous reserves – a move that could lead to now protected forests being converted to croplands and pasture. Environmentalists and scientists have expressed profound concern: “Letting agribusiness rent land [in indigenous territories] is a way of throwing away all the traditional knowledge that these people have, all their tradition in guarding the forest,” said Carlos Nobre, a noted researcher at the National Institute of Space Research (INPE). Nobre believes that, instead of making it easier for agribusiness to invade indigenous land, the government should increase agricultural output by tackling a big problem – the very low productivity of land already cleared for pasture. He notes that the Agriculture and Farm Husbandry Census of 2017 found that a mere 1.5 head of cattle are grazed on each hectare of pasture in Brazil. This means that lots of degraded land is incredibly unproductive, and that it would make good sense for the government to encourage best use practices in already cleared areas, to increase cow-per-hectare grazing, particularly as this would avoid negative biodiversity and climate outcomes brought by increased deforestation on indigenous lands. But, says Nobre, increased economic efficiency isn’t the government’s goal. “To tell the truth, the government isn’t interested in increasing production,” he said. “What they want is to increase the area under the control of ranchers, in an ideological battle with the Indians.” This ongoing land war dates back to colonial Brazil. 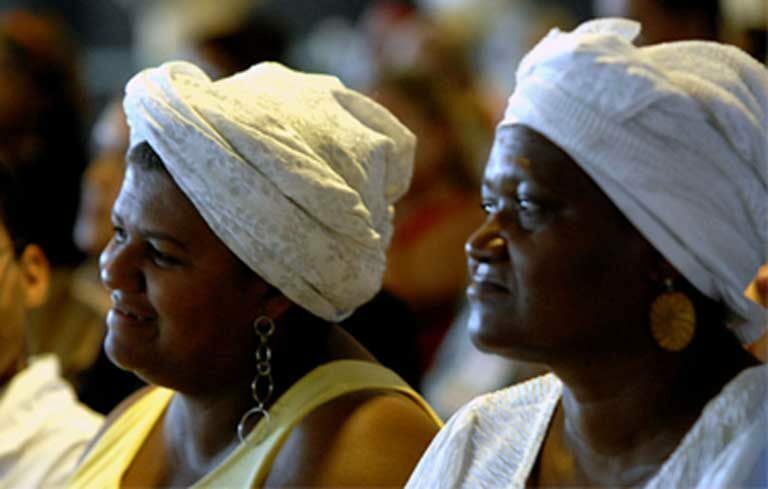 The quilombolas — communities of runaway slave descendants — are fiercely proud of their African culture and tradition. But the lands they claimed in the 18th and 19th centuries for their rural communities have long been eyed by ruralists. Photo by Antônio Cruz / Agencia Brasil. Another group that has responded firmly to the first acts of the Bolsonaro government are the quilombolas, descendants of runaway African slaves who set up free communities in remote forest locations in the 18th and 19th centuries. These communities, which were also assured demarcation rights in the 1988 Constitution, have suffered for years due to the snail’s pace at which they’ve been granted title to their land by the government. This slow process has weakened the communities and left them vulnerable to land invasions. The communities have responded to these incendiary remarks, and the threats of moves against them, by seizing the initiative and starting an action in the Federal Supreme Court. 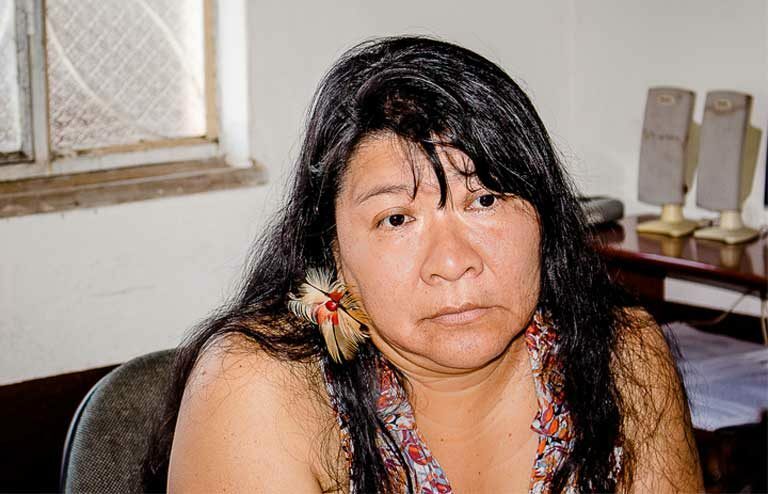 The Quilombolas are demanding reparations for the “moral harm” they’ve suffered for 30 years by not being given definitive rights to their land, as the Constitution requires. In this way, the National Federation of Quilombola Associations (FENAQ) hopes to resolve the land deed logjam. If they win, the Federal Supreme Court could order the government to complete the land titling process. Such a victory would reduce their vulnerability and lessen the risk of violence and murders, attacks which quilombolas have increasingly suffered in intensifying local conflicts with ruralists and land grabbers. Many critics think that the courts could be an important fall back for those resisting Bolsonaro’s policies. 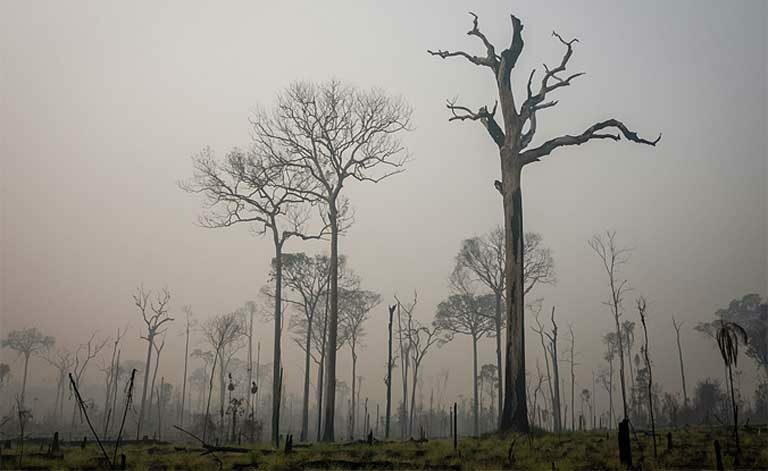 The devastation of Amazon protected lands generally occurs as a progression. Illegal loggers and land grabbers, often well armed, arrive first, cutting valuable timber and burning over the land. Cattle ranchers move in next, grazing the deforested area. Then, after time’s passage, soy growers and other large-scale agribusiness moves onto the degraded land. The loss of the forest and forest livelihoods forces indigenous and traditional people out of their former homes. Image courtesy of IBAMA. Judging by negative rhetoric, the country’s land reform activists and landless peasant agrarian settlements may be as much at risk from Bolsonaro administration policies and actions as are indigenous groups. One such conflict is heating up between landless rural workers, land thieves and local politicians in Colniza municipality in Mato Grosso state. There armed gunmen, likely sent in by local ruralists, have been posted near a landless peasant encampment where 200 families are waiting for a court decision as to whether the tract of land near where they are squatting will be granted to them. Brazilian law allows unutilized tracts to be claimed in this way, though ruralists have long vehemently opposed the process. The Catholic Church’s Pastoral Land Commission (CPT) has been calling on authorities to take urgent action to defuse the conflict since November. Then on 5 January, less than a week after Bolsonaro took over, the conflict exploded. One peasant worker was killed and another nine seriously wounded. Luiz Nabhan Garcia, the Agriculture Ministry’s new Special Secretary for Land Affairs. Image courtesy of Agência Brasil. MST activists counter the administration stance by arguing that far greater crimes have been committed with the blessing and protection of government by land thieves and ruralists who for decades have seized lands to which they had no prior right. In particular, the MSR points to the Temer government’s issuing of amnesties, especially through a Provisional Measure (MP), later transformed into law 13.465/2017 by the National Congress. That act provides forgiveness to land grabbers who illegally occupied property in the past, requiring them to pay only a fraction of the real value of the land they stole. The not-for-profit institute, IMAZON, estimates that this amnesty cost the Brazilian treasury R$20 billion (US$ 5.4 billion), in the Amazon alone. President Jair Bolsonaro officiates over the installation of his ministerial team at the Planalto Palace in Brasilia. New Environment Minister, Ricardo Salles, signs document joining the administration. Photo: Roque de Sá / Agência Senado. Another controversy erupted on 6 January when Ricardo Salles, the new environment minister, and President Bolsonaro circulated on social media a copy of a contract, signed in December, showing that IBAMA, Brazil’s environmental agency, had spent RS$28.7 million (US$7.7 million) on car rentals. Bolsonaro cited this as an example of the “mountains of irregularities and abnormal situations that are being and will be PROVEN and EXPOSED.” Salles and Bolsonaro both made these accusations without first consulting Suely Araújo, the current president of IBAMA. Critics say these are wildly trumped up, misleading charges, and point out that IBAMA clinched a good deal, renting 390 vehicles for the whole of 2019 with the money, achieving a better price than in the previous year. Araújo, who before the posting had been told that she would lose her job under Bolsonaro, immediately resigned, rethinking an earlier decision to stay in office to facilitate the government transition. Environment Minister Ricardo Salles. Image by Estevan1717 licensed under the Creative Commons Attribution-Share Alike 4.0 International license. 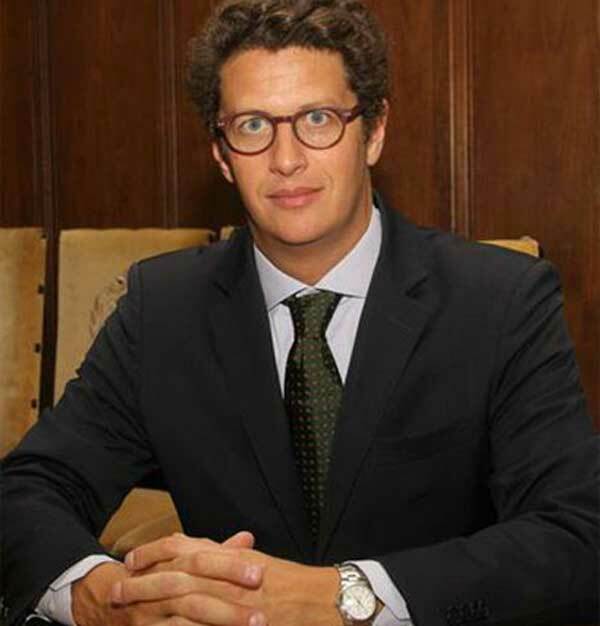 In his first exclusive interview after taking over as Minister of the Environment, Ricardo Salles last week declared that Brazil will not commit to any new, more stringent emissions reduction targets before 2020. The signers of the Paris Agreement were encouraged in Poland at COP24 last December to up their preliminary 2015 carbon cut commitments (INDCs) starting in 2019. Salles also feels strongly that Brazil needs to shift its environmental focus from remote rural areas like the Amazon, to urban areas where water pollution and other problems are severe. “In the city we have a lot to do,” he said. No doubt, such a shift away from the Amazon and deforestation issues would alarm conservationists. Site of the proposed São Luiz do Tapajós mega-dam. President Dilma Rousseff shelved this Amazon project on the Tapajós River, but a member of the Bolsonaro transition team said recently that the administration could be looking at reviving the project, which would impinge heavily on indigenous lands, particularly those belonging to the Munduruku who, along with environmentalists, fought the project to a standstill in the past. Image by Erik Lopes courtesy of The Nature Conservancy. Claudio Frischtak, president of Inter.B, an international consultant that specializes in infrastructure, says that at the present moment Brazilian investment in infrastructure is “very low,” only 1.7 percent of GDP. The Bolsonaro government plans a huge increase. One study indicates that projects already approved, or in the process of being approved, will involve investments of R$339 billion (US$91 billion). Frischtak said that, if all goes well, investment will reach 4 percent of GDP by the end of the Bolsonaro administration. Investors are particularly keen to put their money into the generation and transmission of electricity, which is expected to consume the lion’s share (R$202 billion/US$54 billion) of investment. Although no announcements have yet been made, this influx of cash likely means more big hydroelectric dams. Projects put on hold after considerable mobilization by indigenous communities and environmental NGOs, could be revived. Environment minister Salles – recently found guilty of illegally favoring companies by redrawing the boundaries of environmentally protected areas during his tenure as São Paulo state environmental secretary – told the O Gobo newspaper that he feels that railways and transmission lines should be allowed routing through protected areas, something environmentalists oppose, as this infrastructure draws intruders. Railways, which have long been neglected in Brazil, may receive a big boost under Bolsonaro. Tarcísio Gomes de Freitas, the new Minister of Infrastructure, says he is keen to jumpstart that transportation sector with special incentives. Although such investments may help boost the economy, many analysts, mindful of the extremely harmful social and environmental impact of large development projects in Brazil over the last 50 years, are fearful. They warn that the dismantling of environmental and indigenous regulatory structures currently underway, coupled with a rush to invest and build, could have very serious impacts on Brazil’s forest peoples and ecosystems, while also leading to corruption. Many environmental activists are concerned over the new administration’s rapid alignment with agribusiness. Image by Bruno Kelly © Greenpeace. Bolsonaro’s declaration of Provisional Measures (Medida Provisória or MPs) doesn’t mean they are now the law of the land. While Congress initially has no say over the content of a presidential decree, an MP is only valid for 60 days, though is renewable for another 60 days. After that, it loses validity unless Congress turns it into a bill and approves it, and it gains the president’s signature. 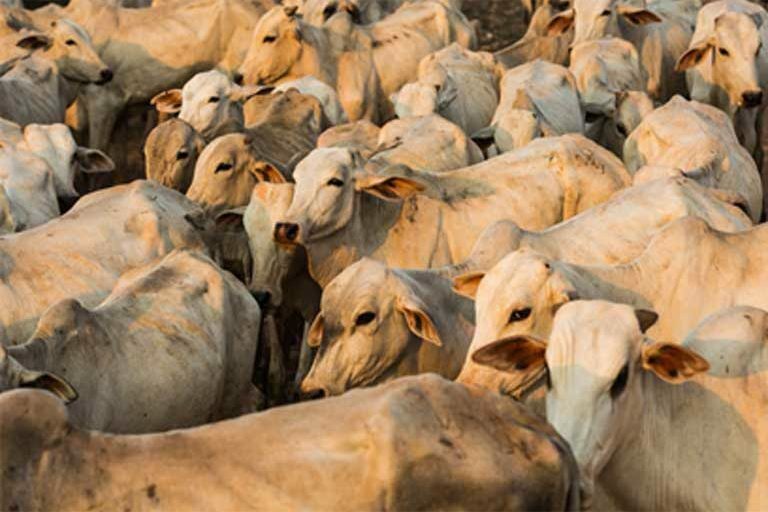 However, considering the dominance of the bancada ruralista agribusiness lobby, It seems highly improbable that Bolsonaro will face serious legislative setbacks, although many of his controversial environmental and indigenous measures seem very likely to provoke fierce debate and the continued mobilization of civil society. As resistance grows to Bolsonaro’s policies, one of the big questions analysts are asking is whether Brazil’s political, judicial and democratic institutions will be robust enough to maintain the rule of law, and be able to prevent a surge in land theft and violent conflict, especially in the Amazon. Brazil only left a harsh military dictatorship behind, returning to civilian rule, in 1985. Three decades is not long for democracy to become deeply rooted. 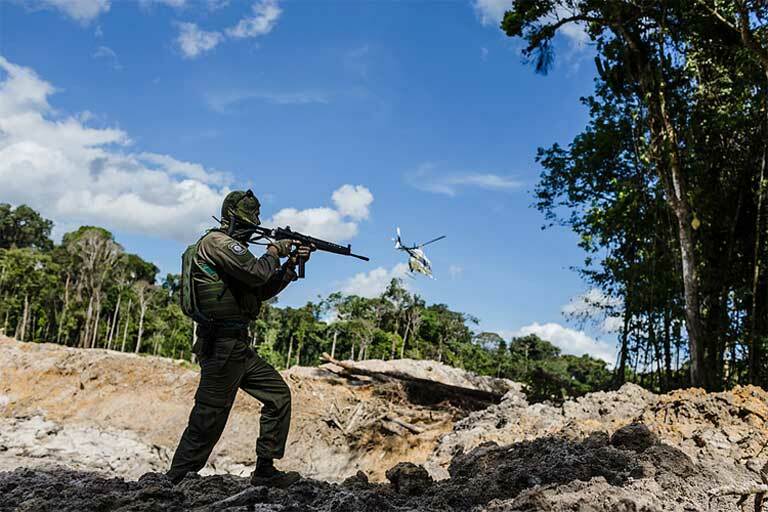 Banner image: An IBAMA environmental agency agent surveys an area of illegally devastated forest within Jamanxim National Forest in Pará state, in the heart of the Amazon. Image courtesy of IBAMA. The Tapajós River flows free today, though if all the dams proposed for it by the Brazilian government go forward, it would become a series of reservoirs interspersed between large dams, and shift from being a wild river to an industrial waterway for the transport of soy and other commodities. Image © Teresa Moreira courtesy of The Nature Conservancy.